Leading Manufacturer of heavy duty storage racks, heavy duty pallets conveyor, heavy duty rack and heavy duty pallets racks systems from Mumbai. To meet the diversified requirements of clients, we are offering a qualitative array of Heavy Duty Storage Racks. The offered storage rack is valued in the market owing to features like the capacity to hold a huge volume of stocks. The offered storage rack is precisely manufactured by using top-notch material & modern techniques in adherence with the set norms of the industry. The offered storage rack is obtainable with us in various specifications to choose from. 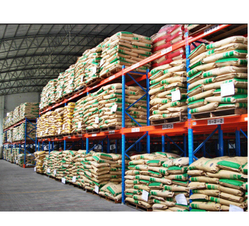 We are the leading manufacturer of Heavy Duty Pallets Conveyor and our product is made of good quality. By keeping track with the market development, we are involved in offering optimum class Heavy Duty Rack. 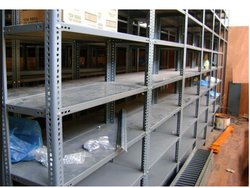 These racks are used to stock tones of materials, with maximum space utilization. Offered racks are developed by our professionals using finest grade material, coupled with modern technology. In addition, these racks are valued in the market as it is highly spacious and quality assured. 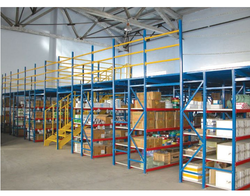 We bring forth a comprehensive range of Heavy Duty Pallets Racks Systems. Our offered pallet rack system is developed by our skilled workers using finest quality material and advanced techniques keeping pace with industry standards. 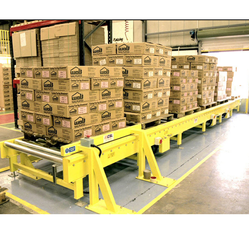 This pallet rack system is inspected on diverse parameters for delivering a flawless range. We provide this pallet rack system on numerous specifications as per the ever-evolving requirement of our customers.